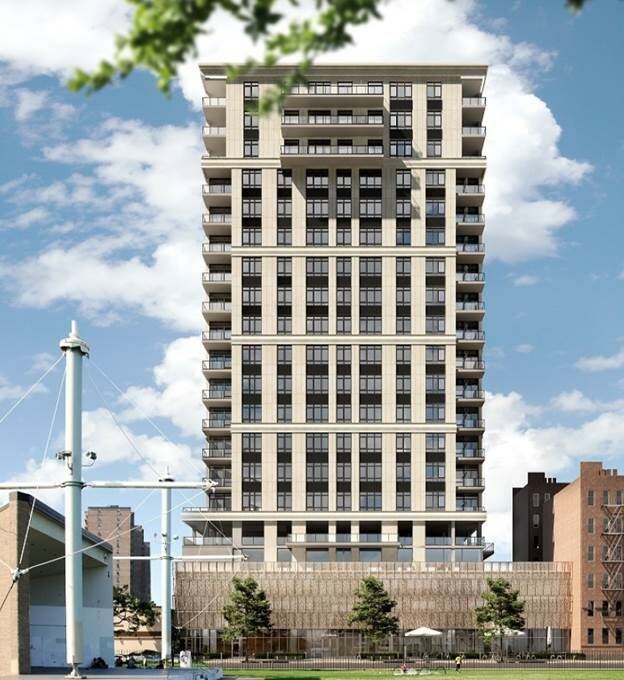 Carlton Group CEO Michael Campbell announces that Managing Director Ruth Barone has arranged construction financing for RYBAK Development’s Sea Breeze Tower, in Coney Island. Sea Breeze Tower is an elegant, modernist limestone and glass building, rising 20 stories over Coney Island’s iconic shoreline. In addition to a mix of spacious 1, 2 and 3 bedroom apartments, Sea Breeze Tower will offer 11′ ceilings, modern design, triple-glazed laminated windows and LEED certification. Residents will benefit from an array of amenities including 24 hour doorman, structured parking, a state-of-the-art fitness center, children’s playroom, package room, cold storage, bike storage and rooftop recreation. RYBAK Development is deeply rooted in the South Brooklyn community and is a leader in its development. Coney Island has emerged as a dynamic and intimate oceanfront town that offers an urban lifestyle on a beachfront setting. Sea Breeze Tower, with 114 rental apartments, is perfectly situated to take advantage of all Coney Island has to offer.